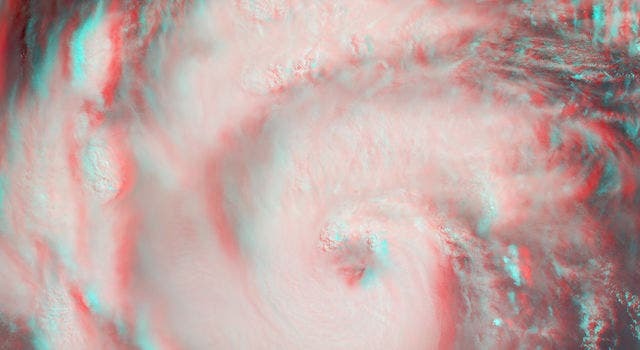 The image below, taken by AIRS, shows Hurricane Michael just off the west coast of Florida on Oct. 10 in the early morning hours local time. The large purple area indicates very cold clouds at about -90°F (-68°C) carried high into the atmosphere by deep thunderstorms. These storm clouds are associated with heavy rainfall. The eye, which is much warmer than the surrounding clouds, appears in green. 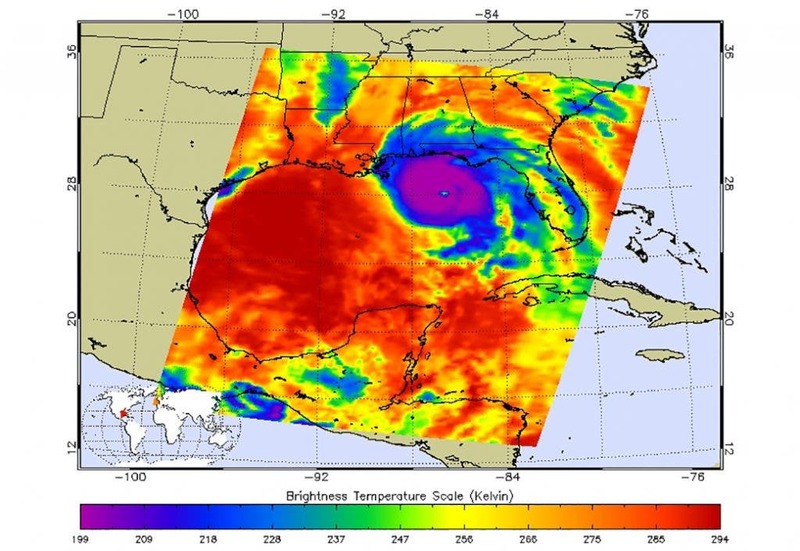 The red areas moving away from the storm indicate temperatures of around 60°F (15°C), typical of the surface of Earth at night. These red areas are mostly cloud-free. AIRS, in conjunction with the Advanced Microwave Sounding Unit (AMSU), senses emitted infrared and microwave radiation from Earth to provide a three-dimensional look at Earth’s weather and climate. Working in tandem, the two instruments make simultaneous observations down to Earth’s surface, even in the presence of heavy clouds. With more than 2,000 channels sensing different regions of the atmosphere, the system creates a global, three-dimensional map of atmospheric temperature and humidity, cloud amounts and heights, greenhouse gas concentrations, and many other atmospheric phenomena. Launched into Earth orbit in 2002, the AIRS and AMSU instruments fly onboard NASA’s Aqua spacecraft and are managed by NASA’s Jet Propulsion Laboratory, a division of Caltech, in Pasadena, California.